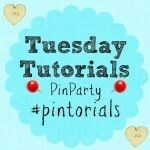 A huge welcome to Week 42 of the Tuesday Tutorials Pintorials Pin Party! Just a reminder that this linky will occur every fortnight. Therefore this will be open for two weeks until 30th October 2015 so you have plenty of time to link with us! This week I am featuring three no carve pumpkins. 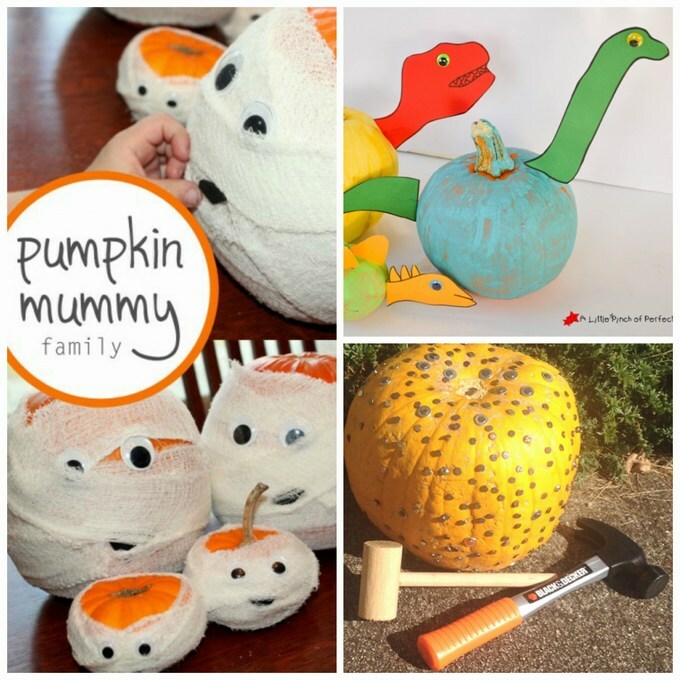 First, we have this family of pumpkin mummies from Hands On As We Grow! We love it! Such a simple craft and yet so beautiful! Who would have thought of wrapping pumpkins in bandage! They look fabulous! Next these cute dinosaur pumpkins are from A Little Pinch of Perfect. You can download the template from her site. Lastly, instead of decorating it, why not nail it! Thanks to There’s Just One Mommy for showing us how to do it! Don’t forget to pop by to take a look at Hodge’s blogs (10 dead crafts for kids) to see who is featured this week. First time joining us? Simply add your posts to the linky and they will be shown across our host blogs (myself, ET Speaks From Home and Hodge Podge Craft) and then pinned to our group board. Each week the 2 of us will showcase a selection of three posts each to feature the round up on our blog along with the next weeks’ linky.